I really wish this will be turned into a wallpaper. Aww, so cute! I love her dress! I Like her :) She looks really sweety :) ! Whats her Name? Kotomo-chan! Looks awesome! I wish this calendar! 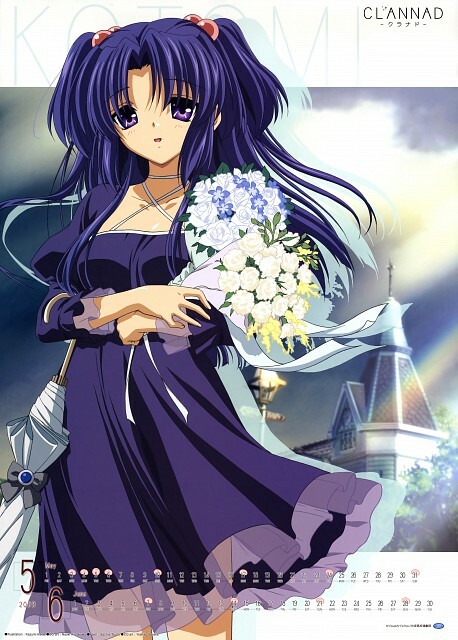 I love kotomi! Thanks 4 sharing! just got out of a wedding and got lucky with the flowers. you can see it in her face. These pictures from CLANNAD calendar are all so cute ! Kotomi = awesome. Thanks heaps!